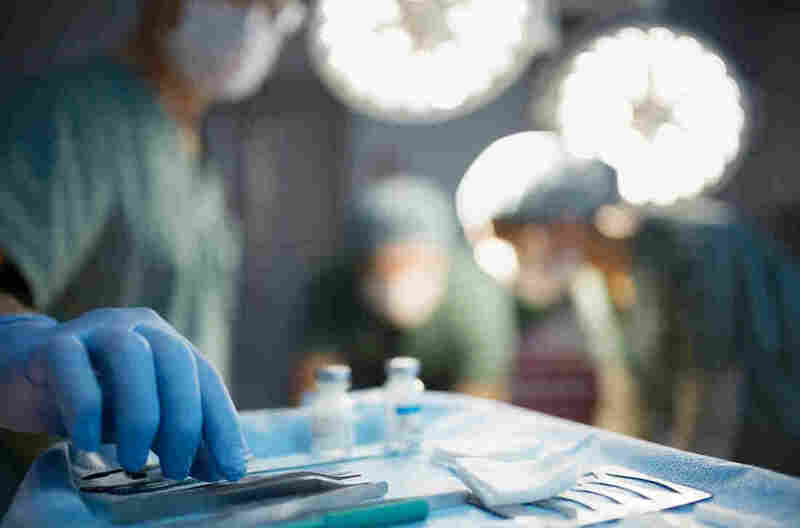 Doctors Game The System To Help Their Own Transplant Patients : Shots - Health News A cardiologist knows how to game the system to get his patients bumped up the list for a heart transplant by giving them care they don't need. Is that being a good doctor — or a moral failure? A chronic shortage of donor hearts places doctors in an ethical dilemma. Imagine your heart can no longer pump enough blood to your vital organs. Even minimal exercise tires you out, and you're often short of breath when lying flat. Your lungs are accumulating fluid. Your kidneys and liver are impaired. You've been hospitalized and started on an intravenous drug that improves your heart's ability to contract. It has helped, but it is not a long-term solution. You need a new heart. You're a good candidate, but there is a problem: a chronic shortage of donor hearts. In 2014, for example, about 6,950 Americans were approved for heart transplants, but only about 2,250 donor hearts became available. You need to move higher up on the list. I'm your doctor. I want to help you get you a heart. But I face an ethical dilemma: Do I ramp up your medical treatment, even beyond what I consider necessary, to bump you higher on the list? The United Network for Organ Sharing, or UNOS, has established criteria to make sure that donor hearts go to patients with the most severe disease. These criteria are based on which treatments a doctor has prescribed, on the assumption that they're a good indication of how critical the illness is. Generally, that's a fair assumption. Except that the system itself creates a perverse incentive. It works like this: Your place on the waiting list for hearts depends on your "status." If you weren't getting that IV drug, you'd be considered "Status 2," and your median wait time for a heart would be 630 days. Not good. You're on the IV drug, though, so you're considered "Status 1." But "Status 1" is divided into two more categories: If you're on a low dose of the IV drug, you're classified as "1B," cutting your median wait to 301 days. That's where you are now. Better, but still not great. But if you were in an intensive care unit, receiving a high dose of your IV drug, and you had a catheter placed in your pulmonary artery to monitor cardiac performance, you would be "Status 1A." Your median wait would drop to 110 days. So you're unlikely to get a heart anytime soon unless you can be listed as 1A. And in your case, if you weren't up for a transplant, there would be no call to implant a pulmonary-artery catheter; it's uncomfortable (it is inserted through your neck or under your collarbone) and carries a risk of infection. There would also be no call to raise your dose of the IV drug that's helping your heart contract; when used long term, higher doses can increase the risk of sudden cardiac death. But I have to balance these risks against the danger of your having to wait three times as long for a transplant if you remain 1B. That means spending an additional 291 days on the waiting list, during which your condition may deteriorate. You may end up needing a mechanical pump or an artificial heart, both of which would entail major cardiac surgery and potentially serious complications. And you may die. When I take all that into account, the risks of keeping you waiting at 1B seem higher than the risks of placing a pulmonary-artery catheter and raising the dose of your IV medication to make you 1A. This is the system I have to navigate. So, as your doctor, even though these measures aren't medically indicated, do I admit you to intensive care, insert a pulmonary-artery catheter and increase your medication to qualify you for 1A status? And if I do, is it ethical? The American Medical Association, in a statement on the allocation of limited medical resources, asserts that "a physician has a duty to do all that he or she can for the benefit of the individual patient." And dishonesty on behalf of others can be virtuous. Ludvik Wolski, a Roman Catholic priest in Otwock, Poland, forged certificates of baptism to save the lives of Jewish children during the Nazi occupation. If I adjust your treatment to help you get a donor heart, I might be tempted to believe I'm acting similarly. But there is an important difference between Wolski's situation and mine: His actions had no adverse consequences for other Jewish children in the community. In contrast, if I increase your odds, I decrease another patient's — because the transplant list, with its vast excess of prospective recipients over donors, is functionally a zero-sum game. If I've bettered your chances at someone else's expense, I've provided no overall benefit. So I might be inclined to resist overtreating you here — if I can be confident that other doctors are resisting as well. And there's the rub: If I have reason to believe that other doctors are escalating care to move their patients up on the list, then I may be putting you at a disadvantage by refusing to do the same. And I do have reason to believe that. I've read a 2013 editorial in the Journal of Heart and Lung Transplantation commenting on how invasive treatments are being overused in patients on the transplant list. And a commentary this year in the same journal noted that when the criteria for transplant status changed, medical practice evolved in step with them. The authors, in fact, considered the possibility of setting up "tribunals" to assess this gaming. So my personal integrity ends up being in direct conflict with my responsibility as your advocate. In the big picture, this system increases the number of medically unnecessary treatments, thereby driving up both cost and complication risk. And perhaps worst of all: When "gaming the system" goes from being an aberration to a standard strategy — when, as the authors of the new commentary write, "treating to the priority is almost as fundamental as studying to the test" — then dishonesty becomes normal. The United Network for Organ Sharing is now considering a new system for allocating donor hearts that has many more priority stratifications. Among the new criteria proposed for determining a patient's waitlist status are measures that are far more aggressive than pulmonary-artery catheters and IV drugs. They include procedures such as the insertion of an intra-aortic balloon pump, which helps the heart generate more blood flow, or the use of extracorporeal membrane oxygenation, which provides a heart-lung bypass outside the body. Under the new criteria, we should be better able to select patients with the most severe disease. But that's what we thought about the original criteria. And the new proposed criteria, too, are "gameable," so that doctors might feel pressured to take more extreme steps to improve their patient's chances. Some transplant doctors are already expressing concerns about the potential use of intra-aortic balloon pumps that will allow patients to walk about while waiting for transplants. The same perverse incentive to escalate care will remain — and so will the ethical dilemma it creates. Matthew Movsesian, a cardiologist, is a professor at the University of Utah School of Medicine in the Division of Cardiovascular Disease. This essay was first published by NPR member station WBUR.